Nothing larger than 100 ounces allowed? What are people trying to bring in to refill – gas cans and kiddie pools? I guess it might be worth the hassle if you could get it for $1.99. 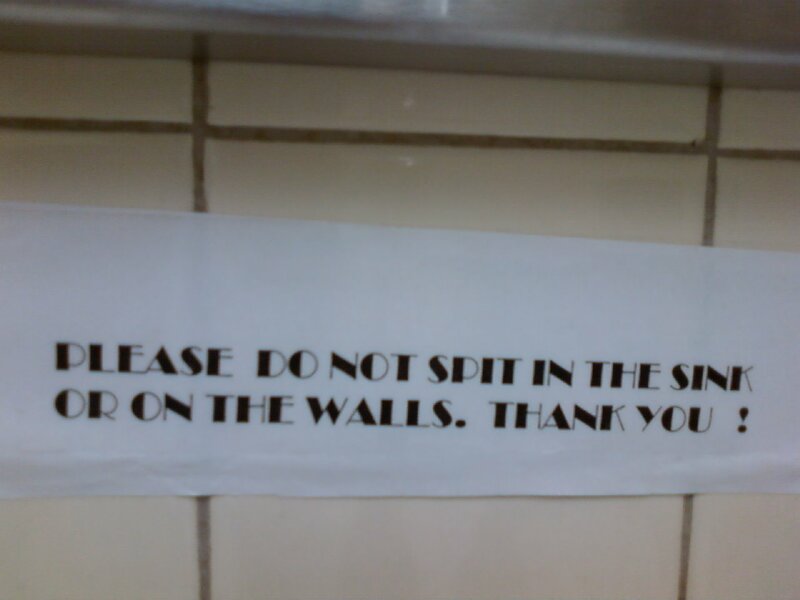 Saw this sign in a gas station bathroom in Lebanon a couple weeks ago. Very apropos considering where I was.